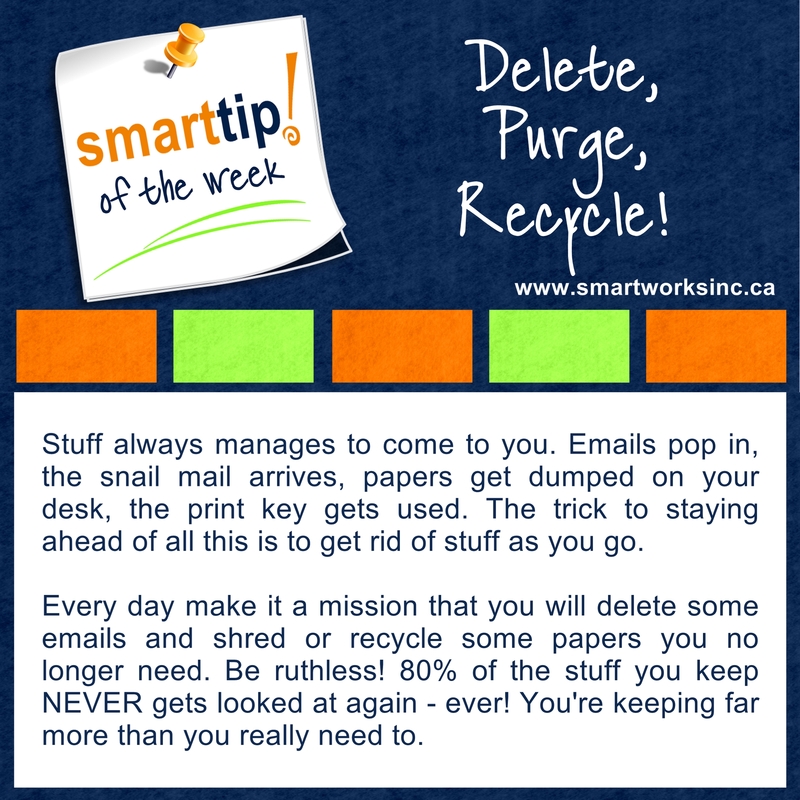 Feeling a bit overwhelmed with all the emails and papers piling up? Try this simple strategy from our Tip of The Week! Georgina Forrest is a Productivity Coach & Organizing Specialist at Smartworks! Enterprises Inc. in Red Deer, Alberta. Her credentials include Certified Professional Organizer (CPO®), Organizer Coach, and membership with Professional Organizers in Canada (POC) where she has attained Gold Leaf status – a designation acknowledging her as an experienced professional organizer. Her specialties are geared toward increasing productivity, streamlining administration and decreasing stress in the workplace. She will teach you how to manage your time, space and information so you can be more effective and efficient at work. Additionally she offers training programs, productivity coaching and time management-related presentations. 5 Painful Time Management Mistakes People Typically Make! It’s entertaining. It’s informative. It’s also got pictures – you’ll love it! View the complete Sitemap here! Georgina Forrest specializes in helping people learn the principles of organizing and developing good work practices, so that you can work in the kind of stress-free environment that you’ve always dreamed of. She will show you how, by simply implementing a few easy systems, you can ease your mind and increase your personal efficiency. And she’ll make it a fun experience for you. Get in touch with her to discuss how she can help you with your organizing and productivity needs. Let Go Of That One Thing! A Better Tomorrow Starts Today!